"When Rashid and I play together, either in the national team or any other team, that is when I have to help him a little bit in terms of what the batsman is thinking or what kind of fields to set," Nabi said during the post-match conference. "Most of our (Nabi and Rashid) discussions is about placing the correct fielding positions," he added. 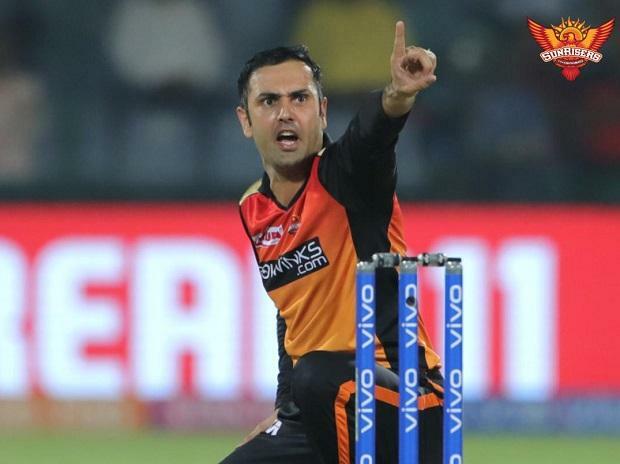 Nabi has been powering Hyderabad since he was included in the playing XI as he took four wickets in his first match and continued with his form in his second match as well. Nabi took 2 wickets and gave away just 21 runs in his four overs and helped his side defeat Delhi Capitals at home in the ongoing Indian Premier League on Thursday. The 34-year old also elucidated his gameplan saying that he does not chase wickets, "if you bowl a lot of dot balls, then the batsman will definitely make a mistake. If you only chase wickets, you won't get any wickets, and you'll get hit." Sunrisers will now host Mumbai Indians on April 6.